Edward...who?. For those of আপনি who don't know, that's Edward Elric and the gang from Fullmetal Alchemist, one of the awesomest animes out there. (Now আপনি know who Edward Cullen গাউন those golden eyes from.) :P. Wallpaper and background images in the Critical Analysis of Twilight club tagged: twilight critical analysis funny spoof edward cullen edward elric crossover fma fullmetal alchemist cat. This Critical Analysis of Twilight photo might contain চমস, hip boot, thigh boot, সাইন, পোস্টার, টেক্সট, and চকবোর্ড. *falls out of chair* hahahahaha ! I absolutely love Mustang's face in this. 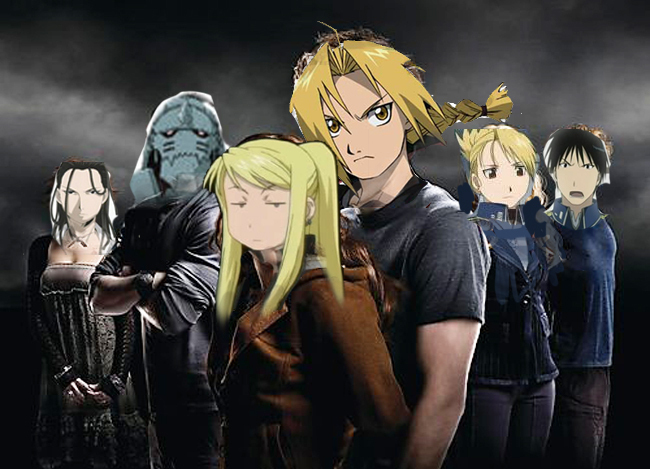 Winry looks either bored or annoyed... or both. Love it. Hahaha! I love it! Great job! nmg! i love it! and its true edward elric is better than cullen!